Are you pregnant and worried about how you’re going to feel as a Mother? Or have you already become a Mother and you’ve been left feeling overwhelmed and wondering who you are? Do you often find yourself saying “Why did nobody tell me Motherhood would be so different to what I imagined”? And do you feel like you’re alone and too afraid to speak up for fear of judgment? IT’S OK. THIS IS HOW YOU’RE SUPPOSED TO FEEL. AND MOST IMPORTANTLY, YOU ARE NOT ALONE! Motherhood is a Rite of Passage and with all Rites of Passage come confusion, overwhelm, extreme emotional fluctuations and the mourning of identity loss. These monumental transitions in life are meant to be greeted by support and guidance from family and the wider community but modern day society has lost sight of the importance of the transition to Motherhood, so often Mother’s are left to try to make sense of it all on their own. is a 6 week live online course that supports all Mothers and Mothers-to-Be in their transition to the most beautifully demanding role they will ever undertake. At it’s core, this course is designed for you to experience the transition into Motherhood as THE single most empowering and life-affirming event of your life, leaving you feeling fully connected to your new identity as a Woman and a Mother and supporting you in being best version of yourself, not only for you, but for your family too. Let’s take a look the Rite of Passage and explore what is actually happening mentally, emotionally, physically and spiritually when we become Mothers. This valuable information is important for you whatever stage of the Motherhood journey you are at. Knowing THIS alone will help you make sense of a lot of what is happening - so transformation begins in week one! A safe container to use various healing practices to work through your birth story. Often in such powerful experiences, a little piece of us is left behind. This week it’s time to call them back and help ourselves feel whole again. If you are pregnant, and you don’t have a birth story yet then you can use the practice to prepare for birth and have a practice to use after. Explore who the parenting role models are/were in your life and work through aspects of them you want to embody in your own role as a Mother, healing any relationships as we go. We are so energetically connected to our ancestral line, that any healing that takes place in our own bodies, shifts energy in those we are ancestrally connected to too. You’ll become a beacon of healing. Beautiful. WEEK FOUR: WHO DO YOU WANT TO BE AS A MOTHER? Identify how you want to be in the world as a Woman and a Mother. We’ll use practices to help you connect to your core values and beliefs, as well as go deep and connect to your heart and soul, allowing you to discover your truth and your new, inspiring identity. Connect to your inner voice of knowing to give you confidence and strength that you have all the answers when it comes to you and your children. Because you do! There will be practices that you can use time and time again to help you stay grounded and trusting in your abilities. Strong. What do you want your relationships look like and how do you want to communicate with your partner now you’re parents? We’ll explore techniques and tools to build and strengthen your relationship, an essential part to having a smooth and happy transition into Motherhood. and continuing for the next 6 consecutive Mondays. All sessions are recorded and available to watch afterwards (forever!) if you miss the live session. I’m Maria Banobre, Mother, Intuitive Empowerment Coach, Conscious Birth Coach, Postnatal Doula and founder of Calm Mutha. I am so excited to launch Empower the Mother! 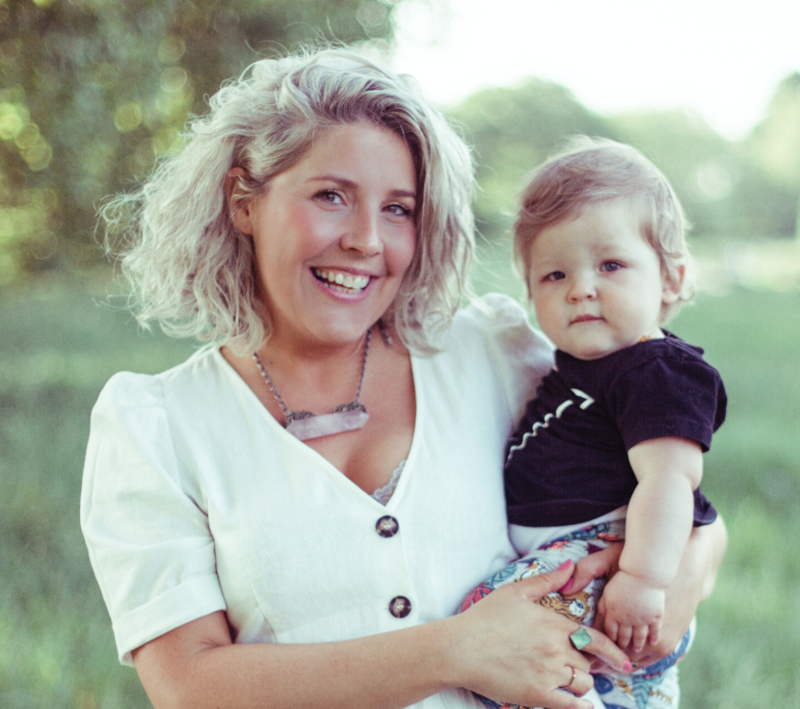 First and foremost, because I wish I’d had this course when I was transitioning into Motherhood, and secondly because it’s my intention that you are able to connect to your full potential as an empowered Woman and Mother. I’m passionate about opening up the discourse around the Rite of Passage that is Motherhood and I’m even more passionate about creating a new paradigm in Motherhood; for you, for me, for society, but mostly for our children and their future. I created the course using my expertise and knowledge from being a life and birth coach and postnatal doula but also using information, tools and techniques that I acquired and used in my own journey to becoming a Mother. Before I understood what the rite of passage process was and what I could do to support myself through it, I went through a rollercoaster of emotions each day; overwhelm, sadness, anger, extreme love for my child, loss for my identity and isolation. I eventually discovered through various trainings, therapies and conversations with experts was that what I was experiencing was completely normal. This helped me work through what I was feeling and come out the other side feeling empowered, inspired and happier than I ever did before Motherhood. That is why I created the course, to make sure that you enter Motherhood feeling supported, informed, empowered and most of all, your truest and best self. I am so thrilled and honoured to teach this course. It lights me up inside that I am able to share what I’ve learnt on my journey with you so that you can have an empowered journey to Motherhood. I truly believe that this course is set to change lives. then enrolment opens Monday 6th May 2019. AND receive my Heart Opening Meditation for FREE.